David Beckham’s planned Major League Stadium in Miami is facing hurdle after hurdle—first, there was the struggle to find a stadium site, resulting in a three-year long search before finally settling on a location in the Overtown neighborhood. 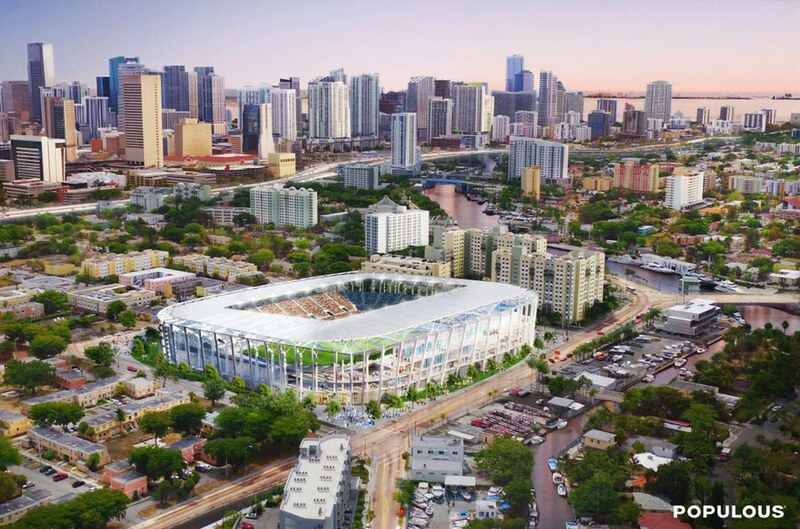 Now, a wealthy landowner is filing a lawsuit to block the county’s no-bid deal to sell land for the stadium, as first reported by the Miami Herald. Landowner and activist Bruce Matheson, who owns property near the stadium site, filed a suit last week against Miami-Dade County over the $9 million land sale to Miami Beckham United. Matheson claims that the land deal broke state law, as the deal was no-bid when Florida law demands that state land sales should go to “the highest and best bidder,” according to the Herald. Matheson also said that he would buy the three acres of land himself, adding that the county was underselling the property’s value. A long-time supporter of the stadium, Miami-Dade Mayor Carlos Gimenez had previously avoided the state law by using an economic-development law that requires certain hiring requirement and community benefits to sell the land. This is not the first time Matheson has blocked a major sports site. He previously prevented the expansion of a tennis stadium in Key Biscayne. Beckham is still waiting for league approval, as well as a commitment from his investors to stay with the behind-schedule project. The proposed sale was approved in June, but the Beckham group has not yet put a down payment on the land. The deadline is mid-September to make the $500,000 payment, otherwise, the land will be lost and the search starts all over again.